Elegant gentleman’s dress watch. 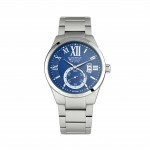 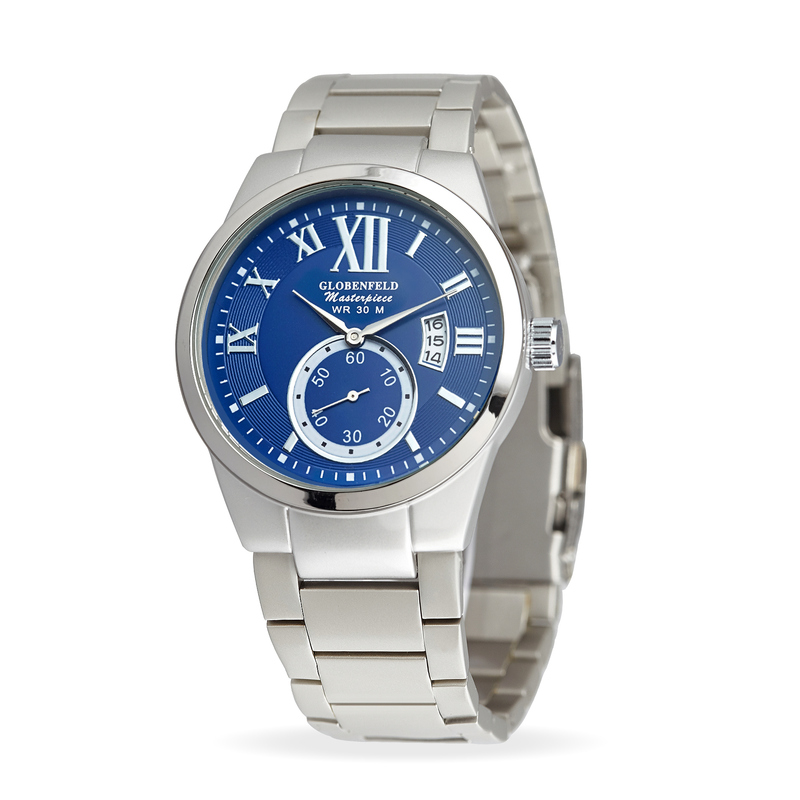 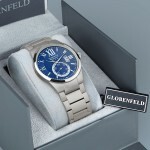 Slimline style with Midnight Blue dial which has steeled colour hands and roman numerals. Boasts highly distinctive oversized circular seconds dial counter together with an open cut calendar embellished in a silver toned case with matching bracelet . 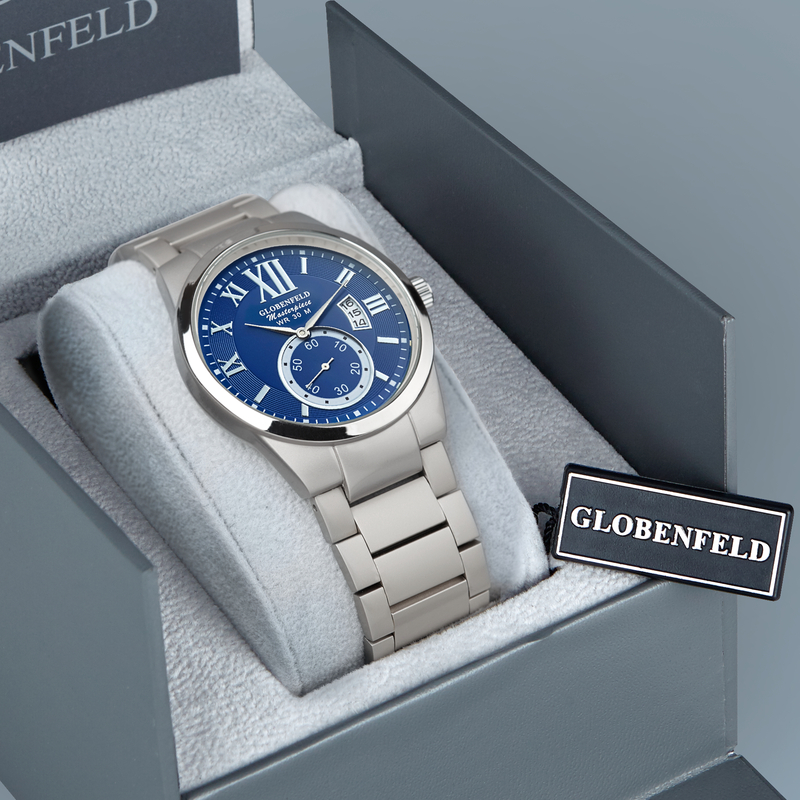 A timepiece you can be proud to wear anywhere whatever the occasion.